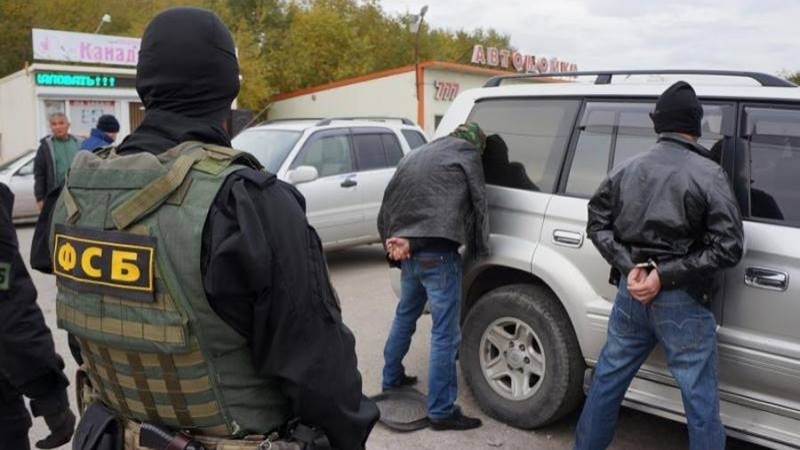 All Crimean Tatars detained in Crimea on October 2 - Renat Suleymanov, Arsen Kubedinov, Seyran Mustafayev and Talyat Abdurakhmanov – were held in the building of the FSB office on 13 Franco Boulevard in Simferopol. They are all suspected of extremism, lawyer Edem Semedlyaev told QHA. “Renat Suleymanov is in the building of the FSB on the 13 Franco Boulevard, and three others were brought there as well. So far, they are accused under Article 282 - the participation and organization of an extremist group. Renat is suspected of organizing an extremist group, and all the others – for participation," he said. Three lawyers came to the FSB building: Edem Semedlyaev, Emil Kurbedinov and Mammet Mambetov, who were present during the interrogation. The Russian media have already reported that the detained Crimean Tatars are involved in the extremist organization Tablighi Jamaat. Earlier, QHA reported that on the morning of October 2 in the Crimea, in the village of Molodezhnoe, security forces broke into the house of the Crimean Tatar Renat Suleymanov and searched him, after which he was put in a car and taken away in an unknown direction. Later it became known about other searches.